Lenders who offer mortgages with shorter payment periods than the standard monthly payment mortgage usually do claim that they will save the borrower money. But they seldom explain how. There are only three possible sources of savings to the borrower from increasing the frequency of mortgage payments. One possibility is that the lender offers a rate or fee reduction on the high payment frequency mortgage. I have yet to see an example of this, and will discuss it no further. The second possibility is that the lender amortizes the loan using the shorter payment period on the loan. If the mortgage calls for two payments a month, for example, the lender will reduce the loan balance on the 15th day of the month as well as the 1st. This will reduce the amount of interest due for the month, leaving more of the payment for further balance reduction. Amortizing the loan using a shorter period generates a real saving for the borrower, but it doesn’t amount to much. The third possibility is that the higher payment frequency is accompanied by larger total payments. This will also pay down the balance faster and reduce the interest cost, but the benefit is due entirely to the extra payment made by the borrower. The lender makes no contribution beyond providing the mortgage that credits the extra payment. With weekly payments, the lender multiplies the monthly payment by 12 and divides by 52 in order to calculate the payment. Total payments are unchanged. Further, every weekly payment program I have seen amortizes monthly, which means that the lender gets to hold the payments as they come in until the first of the month when they are applied. There is no benefit to the borrower, just the convenience or inconvenience of writing 4 or 5 checks every month instead of one. With bimonthly payments, the borrower pays half the monthly payment twice a month, so total payments remain unchanged. Note to readers: please don’t write me that this mortgage should be called a semi-monthly payment mortgage, I know that but decided it would be less confusing to follow industry practice. The bimonthly payment mortgages that I have seen amortize on a half-monthly basis. This means that payments made on the 15th of the month save 15 days of interest on the payment amount, which is a real saving. However, it does not amount to much. On 30-year mortgages with rates of 6% or less, payoff occurs after 719 half payments, shaving just one-half of a month off the term. 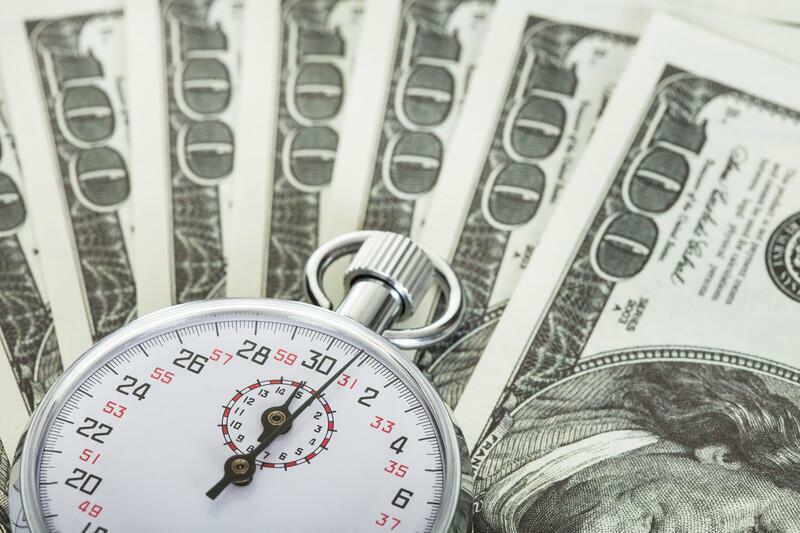 Borrowers who find bimonthly payments attractive can accelerate the pay-down process by making extra payments, and I have a spreadsheet on my web site that may help them. See Extra Payments on Bimonthly Payment Fixed-Rate Mortgages. For example, the borrower with a $200,000 mortgage at 4% who pays $477.42 twice a month gets to a zero balance just half a month early without extra payments. But if the borrower rounds off the payment to $500, payoff occurs after 659 payments, or 30.5 months early. A biweekly mortgage is one on which the borrower makes a payment equal to half the fully amortizing monthly payment every two weeks. Since there are 26 biweekly periods in a year, the biweekly produces the equivalent of one extra monthly payment every year. This results in a significant shortening of the period to payoff. For example, a 4% 30-year loan converted to a biweekly pays off in 310 months – or 25 years, 10 months. Biweeklies amortize on a monthly basis, so there is no added benefit of biweekly amortization. The only contribution the lender makes to the accelerated payoff is to hold the borrower’s biweekly payments until the first of the month when they are applied. The borrower could do this for herself by placing biweekly payments in a special bank account. The biweekly is only one of many ways that borrowers can budget extra payments. For example, increasing every monthly payment by 1/12 will pay down the balance at a rate almost identical to that with a biweekly. For hundreds of other ways to do it, see my Extra Payment Calculator.